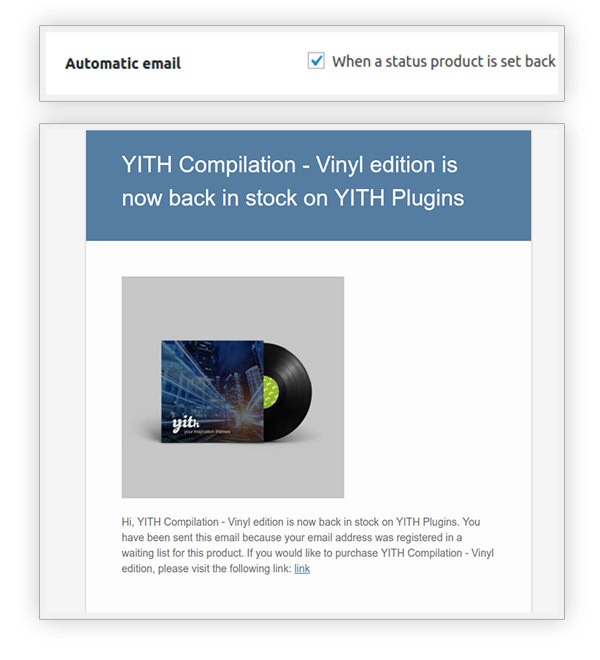 YITH WooCommerce Waiting List Extension: allows you to create a waiting list for products that are out of stock allowing you to email your customers as soon as you receive new supplies and not lose them to competitors. 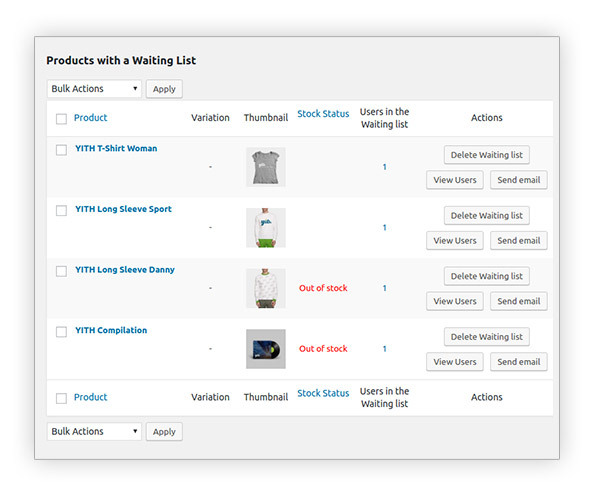 A PRODUCT WAITING LIST. 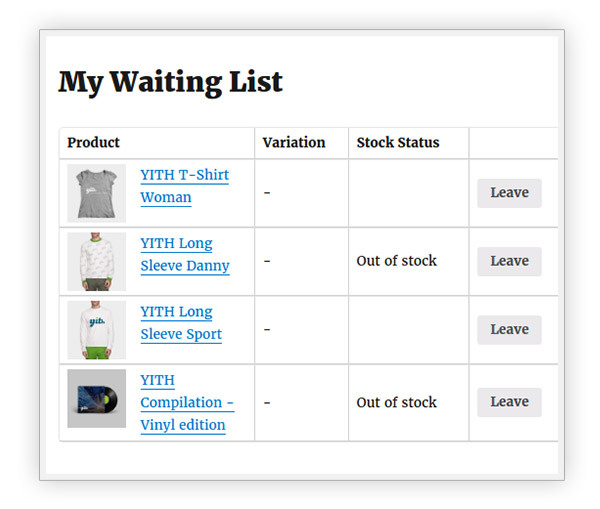 THE SIMPLEST WAY TO LOYALIZE CUSTOMERS AND NOT LOSE THEM WHEN ITEMS ARE OUT OF STOCK. Have you run out of one of your most popular products? 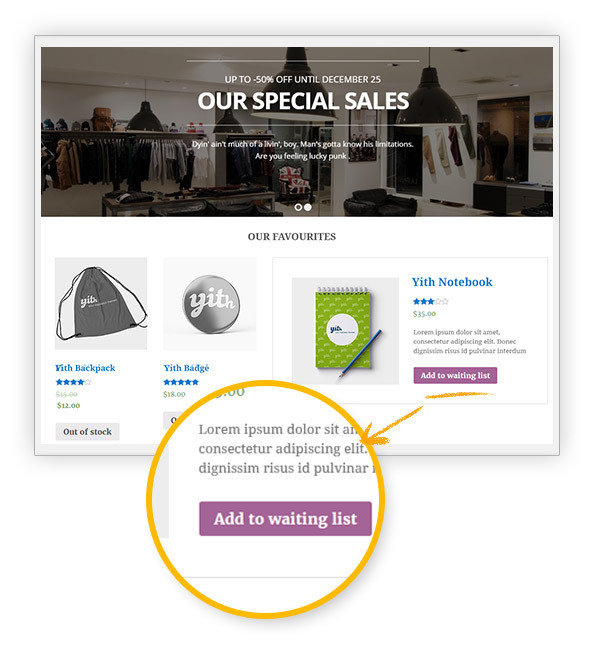 Are you waiting for supplies, but you are afraid you are going to lose customers? 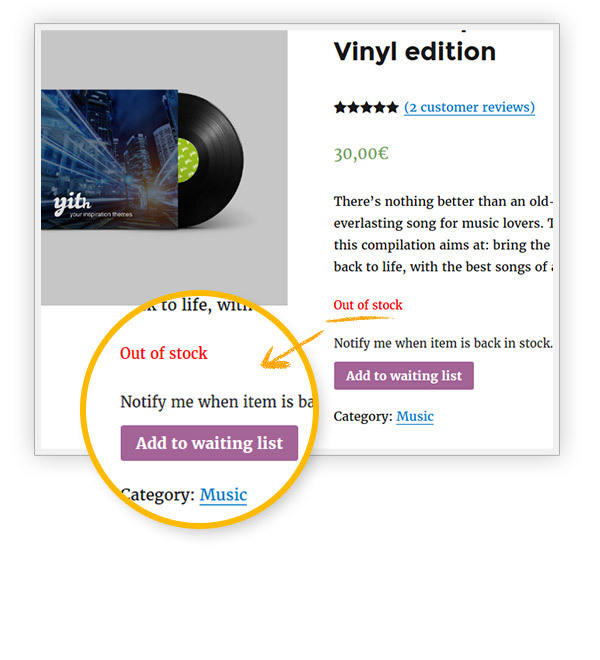 Give them the possibility to add the out of stock item to a product waiting list and email them as soon as it is back in your e-commerce. This allows you not to lose customers and is the simplest way to loyalize them without letting them get away. You’ll see your sales and your customers’ satisfaction increase.